For the second summer in a row, the Fauquier wrestling team, including middle-schoolers and coaching staff traveled north to Penn State University for a 4 day intensive wrestling team camp. One must be completely thrilled to have the opportunity to step on campus of the National Champions Nittany Lions and spend the week training under Cael Sanderson the Head Wrestling Coach of PSU. Thrilling maybe, challenging absolute; as team Fauquier rolled into campus with a vision of learning and improving on their skill level. After coming home and thinking about this wrestling camp, any thoughts about how the team? Fisher: "After a couple days of reflection and recovery from the Beaver Stadium run, I would have to say that this PSU camp was the most successful and beneficial camp that I have ever been part of. We finished 9-1 as a team, but we had to battle for each victory. We were in the toughest pool of the toughest PSU team camp. Our individual records were not great although we wrestled well. We saw one state qualifier, after one state place-winner after one state champ after another from PA, New Jersey, Ohio, and Michigan. In addition to the high level of competition, and aggressive technique/competition schedule, the guys pushed through 6am workouts every day. The morning workouts made the guys sore and tired for the competitions. It put us at a disadvantage but we prevailed nonetheless. You will never get good at anything if you only practice and compete when you are feeling good." Glad to hear that PSU wrestling camp brought teams from around the country. What were some of the highlights from the camp? •	Three Falcon wrestlers won their respective brackets in the final takedown tournament (Bennett Payne, Matt Raines and Chuck Hilleary) most all the rest placed high. •	Bennett Payne beat a 3x Ohio place-winner. •	Our middle-schoolers got some great competition and some great team bonding with the high schoolers." Okay now on with the fun stuff,…. This is an off season camp were there any humor or team bonding during the camp? •	I only had to confiscate food from Matt Raines. •	Marco Tchuekado barely escaped with his life from a rec hall bathroom, no thanks to his teammates who ran in fear. •	I only had to wake Seth Baker up 10 times prior to his 10 matches. •	And,….. coach Wells actually agreed to a Mcdonalds stop on the way home. Can you give this Penn State wrestling camp a grade compared to many other wrestling camps that you have been to or participated with? Fisher: "Overall, I was proud of how our guys hung together and bonded as a team, competed, cheered, supported and coached each other. I do not believe there is another place that provides the same level of competition, technique, and training opportunities while additionally surrounded with countless National qualifiers, All Americans, National Champs, World Team Members, World Medalists, Olympic team members and of course Olympic team gold medalist in a professionally organized 4 days. Plus it feels like home to me! We will be back!" Coach Fisher and Coach Wells are happy with what was presented and how the wrestling team responded to this extremely high level intensive camp. Implementing a hybrid of a PSU system in the wrestling room seems to be the direction that Fauquier is taking. 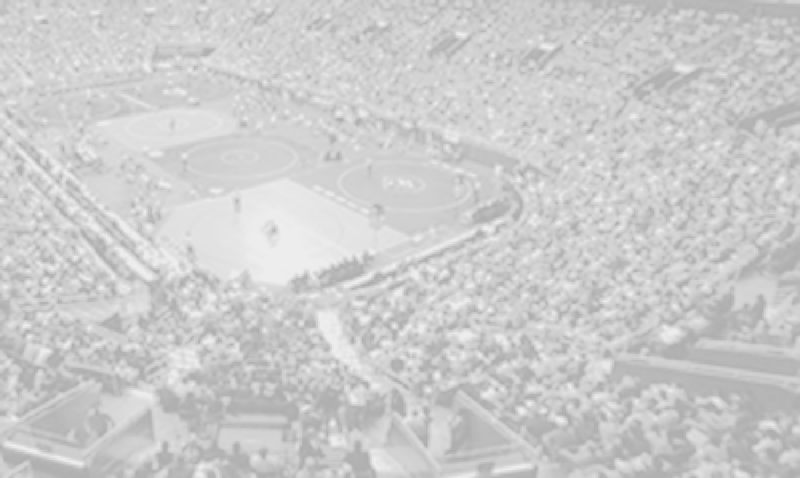 Being presented with new technique can be good, but absorbing it from Cael Sanderson and the PSU wrestling staff, one must completely understand that Team Fauquier is doing it the right way. As the team turns the page on this PSU summer camp, expect to see a ready wrestler with a little Nittany Lions swagger in them.